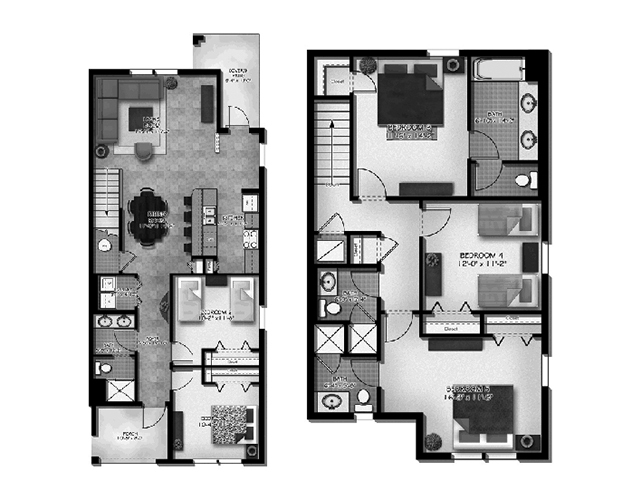 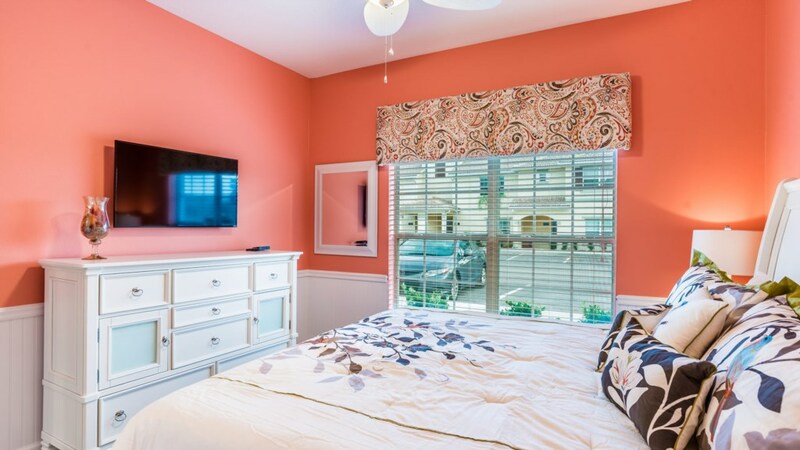 Welcome to our luxurious, brand new 5 bedroom, 4 bath home. 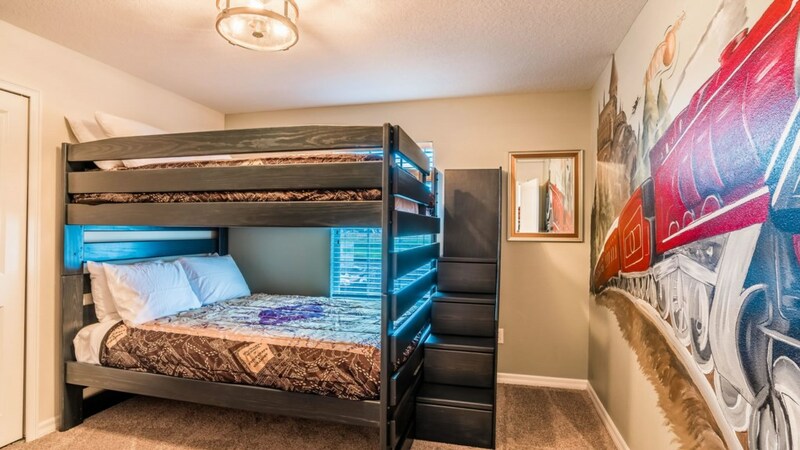 With 3 kings, 2 full beds, and a queen over queen bunk, there is plenty of room for everyone (14 if needed) to spread out and unwind. 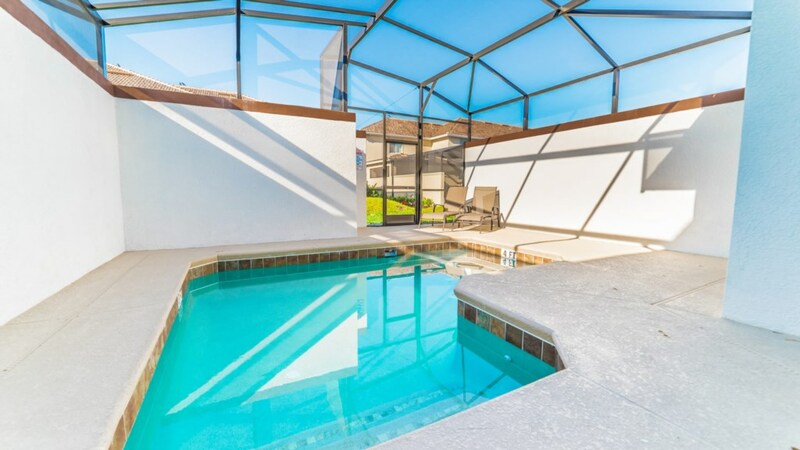 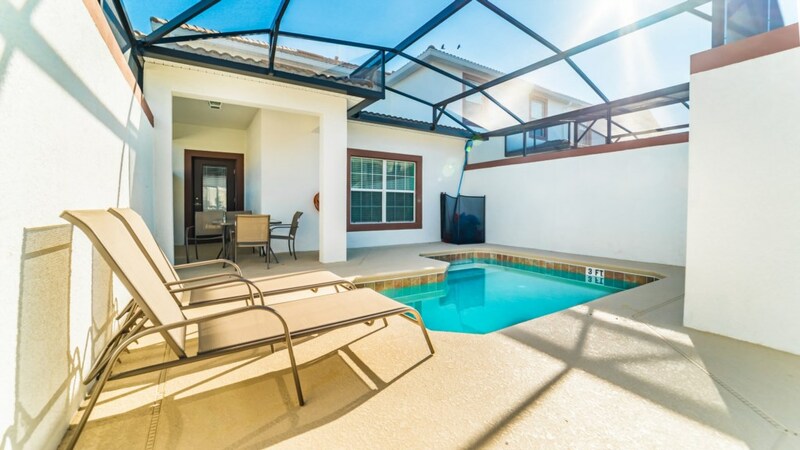 The private pool with covered lanai provides hours of relaxing and soaking up the beautiful Florida sunshine. 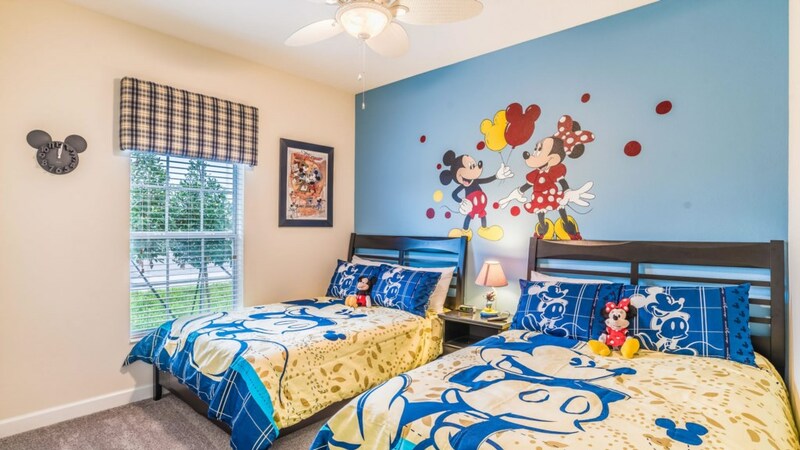 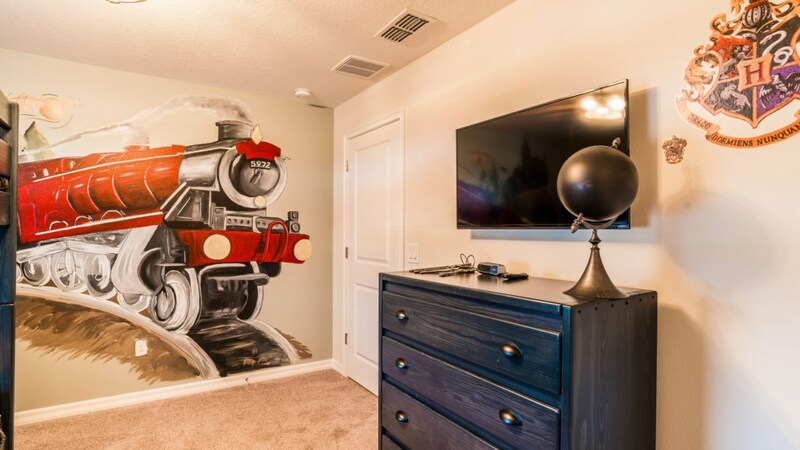 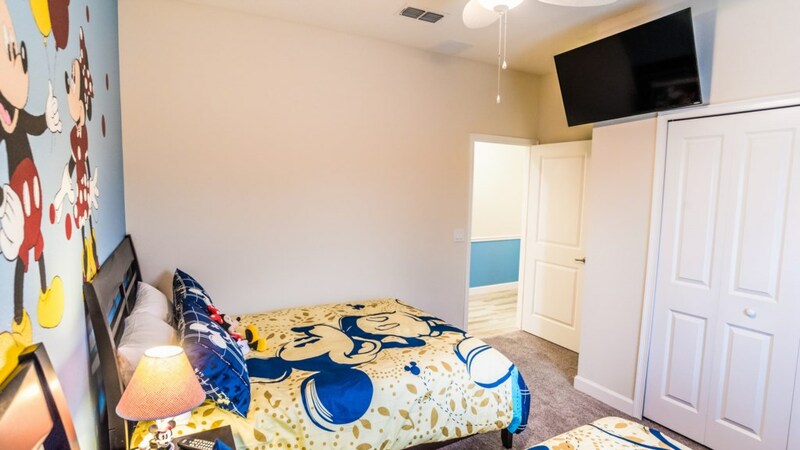 Mickey and Minnie will welcome your Disney fans in the theme room with two full beds, while the Hogwarts train carries away your wizards to the world of Harry Potter in the queen bunk theme room. 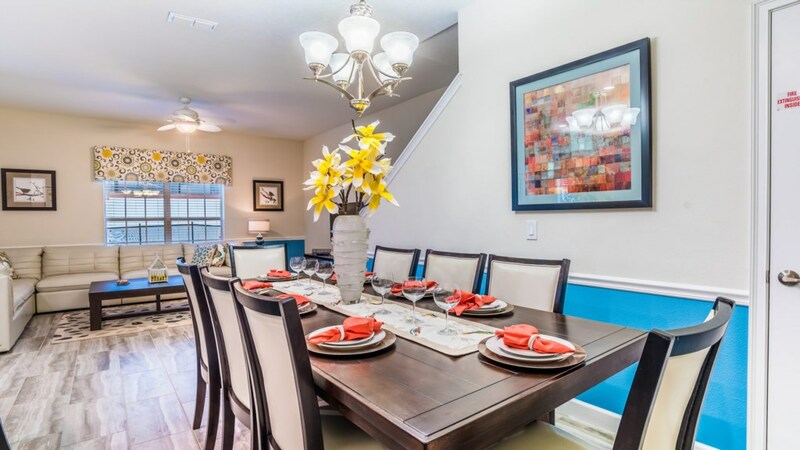 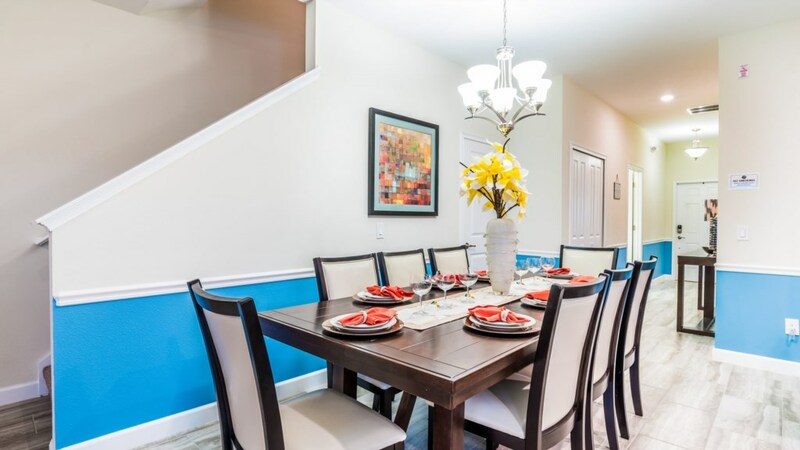 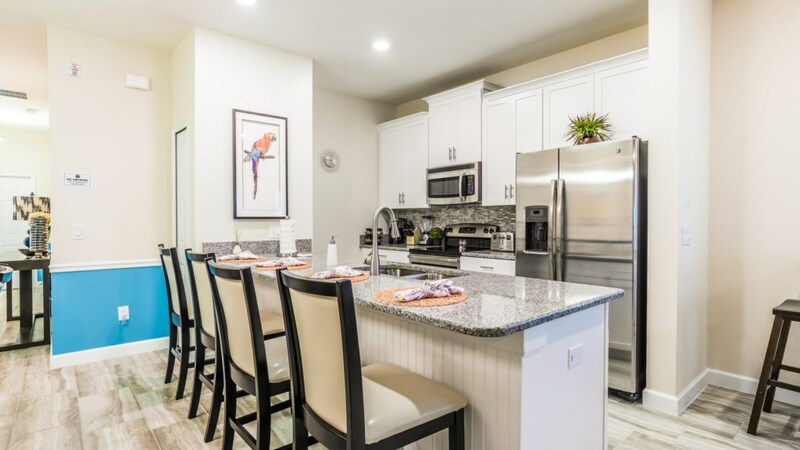 This bright, professionally decorated, open floor plan home with free wifi and six mounted flat-screen smart TVs, is just a short and easy drive to Disney! 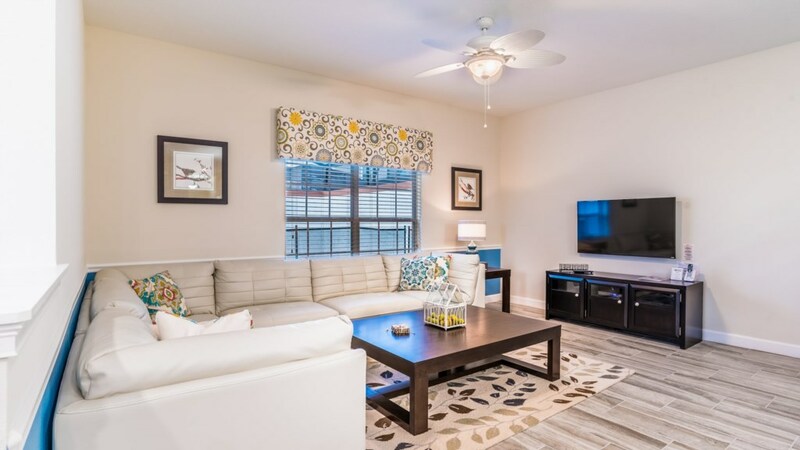 The inviting living area brings everyone together to share the memorable stories of the day. 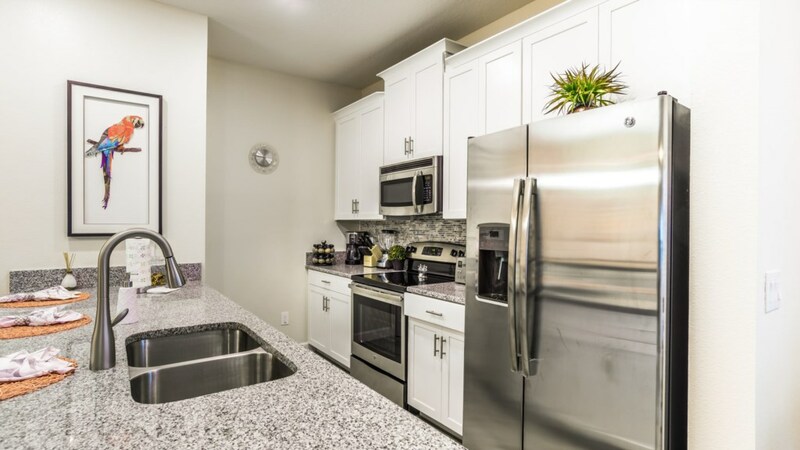 Choose from the myriad of excellent dining options nearby, or enjoy preparing meals in the well-stocked kitchen, with plenty of seating. 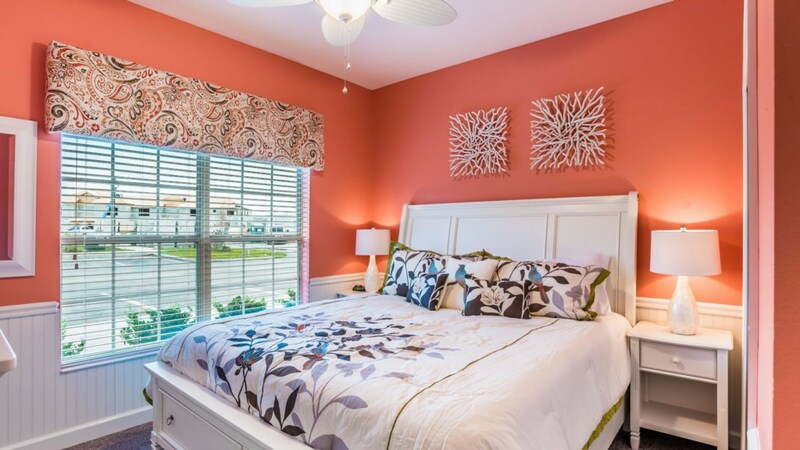 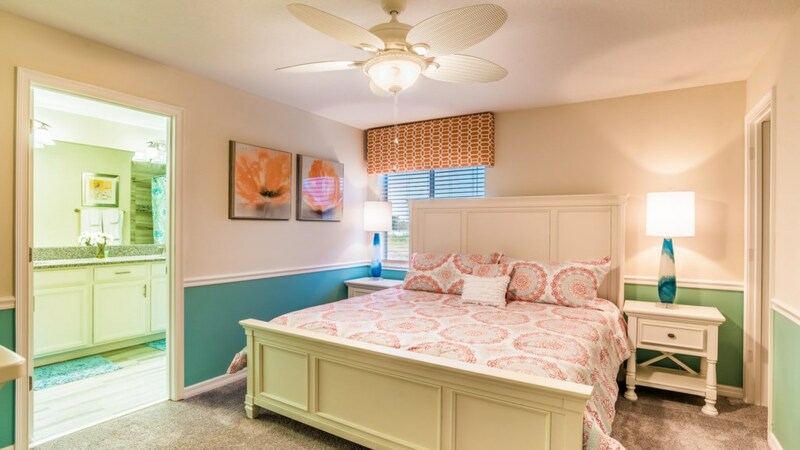 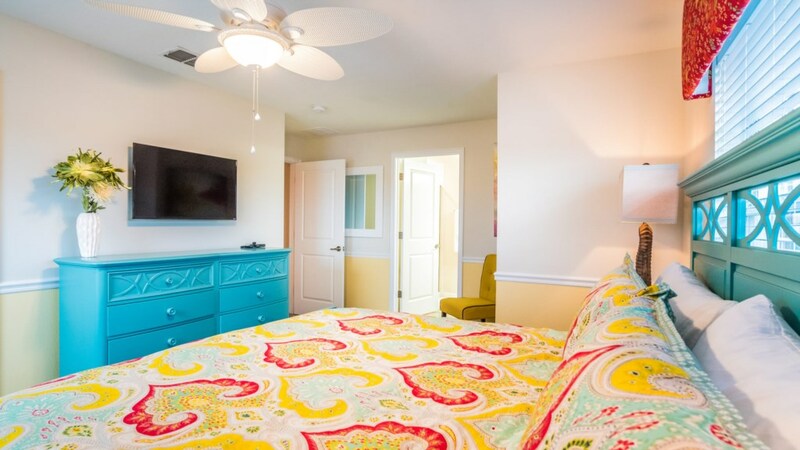 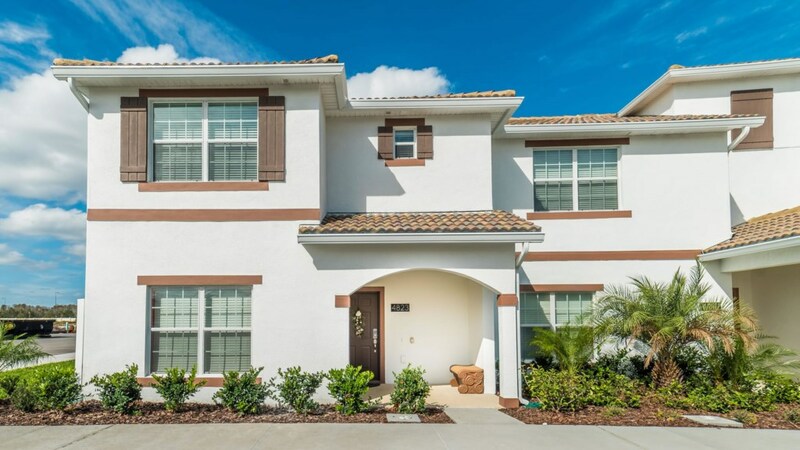 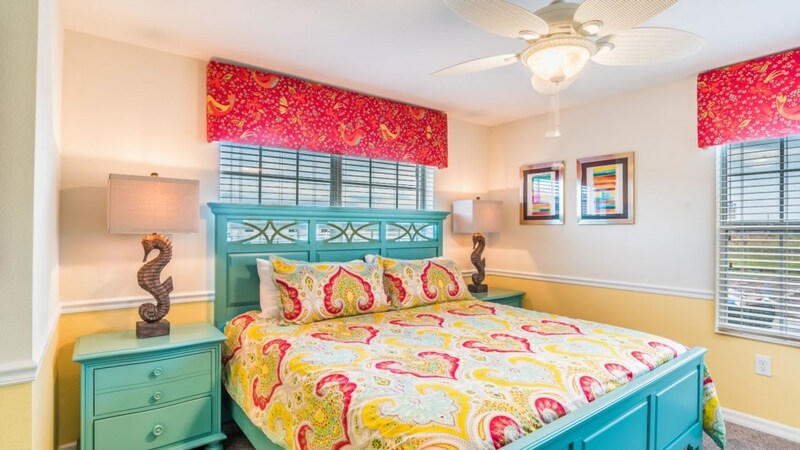 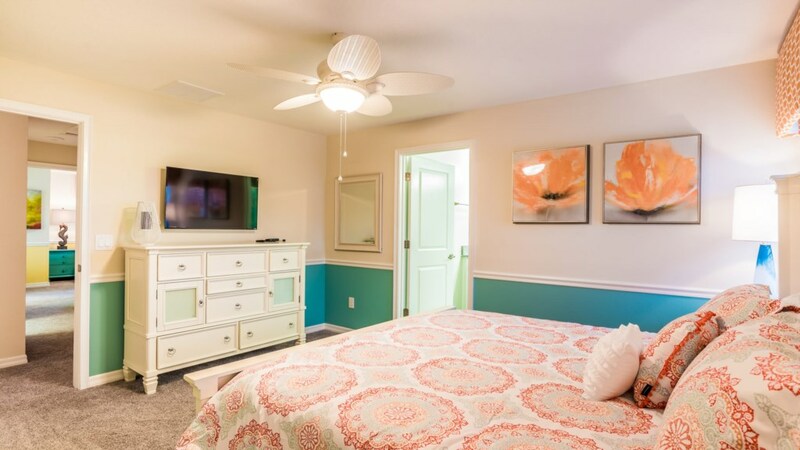 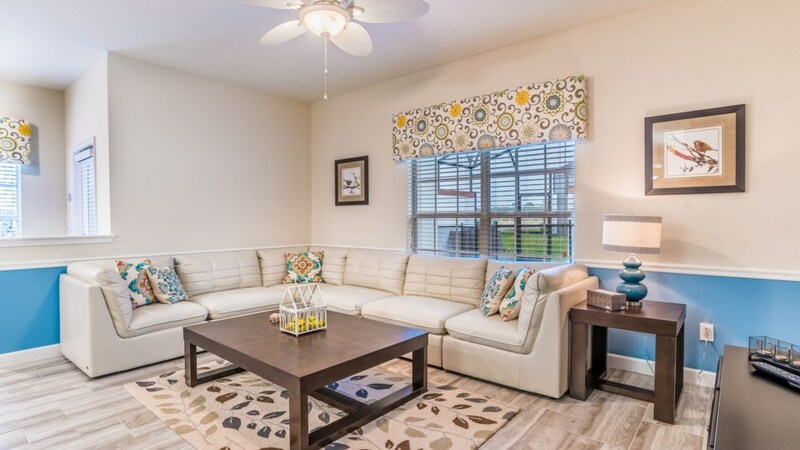 All the comforts of home (including washer and dryer), plus all the amenities of a resort, in a location within minutes of Disney, Universal, SeaWorld, and more premium shopping opportunities than you can imagine, make this home a first choice for your vacation to Orlando!